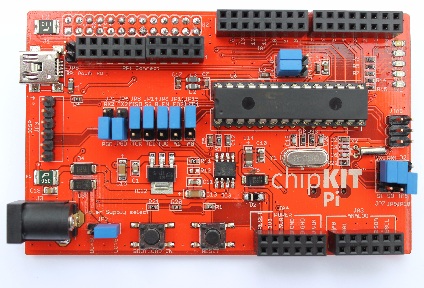 The chipKIT™ Basic I/O Shield is an input/output expansion board designed for use with chipKIT microcontroller boards such as the Uno32™ and the Max32™. 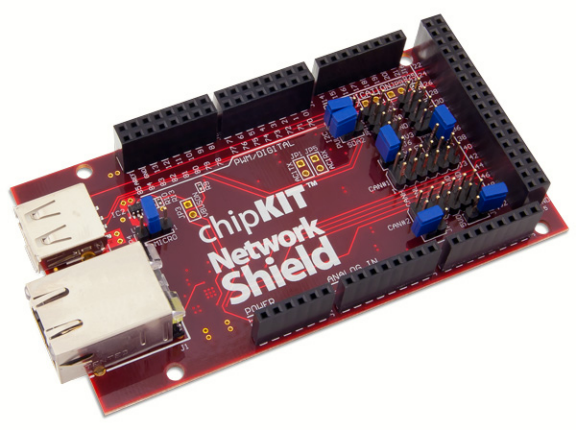 The Basic I/O Shield is designed to the same form factor as the Uno32 and uC32 boards, but is also usable with the Max32 board. 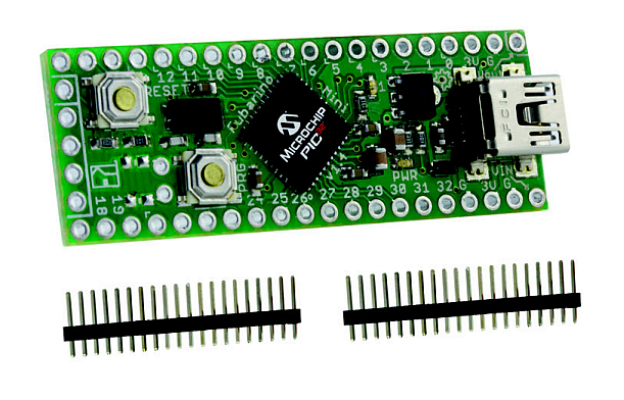 The Fubarino® Mini is a prototyping-friendly platform for developing Arduino compatible 32-bit applications. Compact size (5.1 cm x 1.9 cm) and low cost allow the Mini to fit almost anywhere. (It’s actually much smaller than a stick of gum!) Includes a USB bootloader that works with the chipKIT/MPIDE platform. Connect directly to your application using solder pads, or add the male expansion headers and plug into a breadboard. 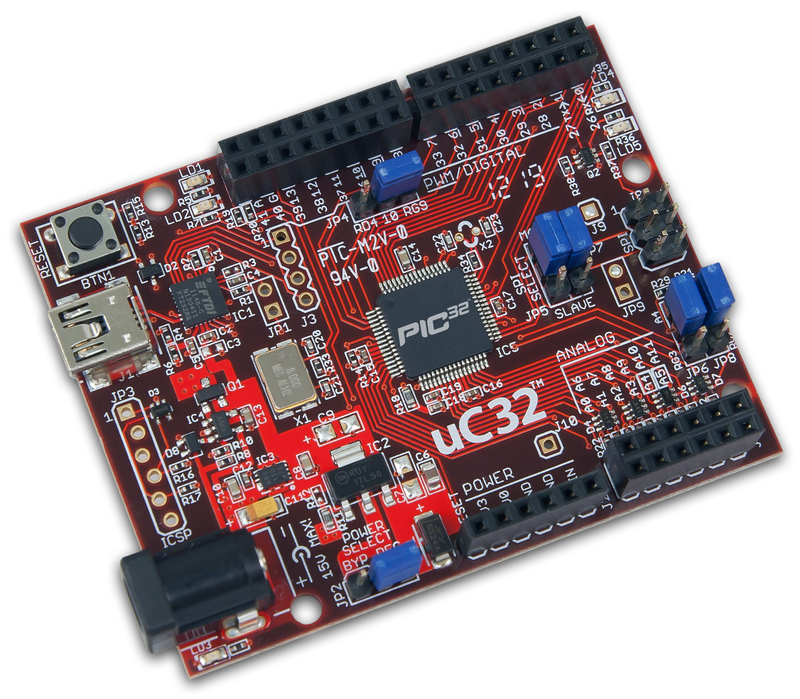 Curiosity HPC is the perfect platform to harness the power of modern 8-bit PIC® Microcontrollers. 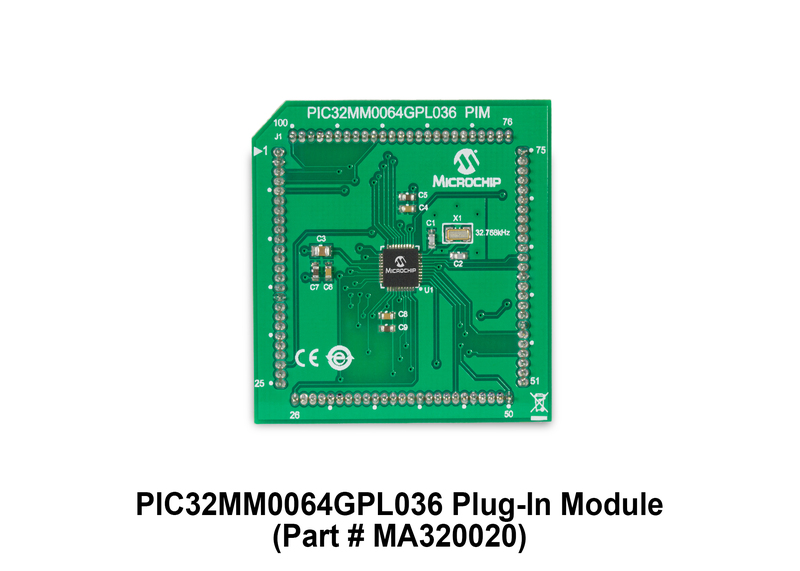 Its layout and external connections offer unparalleled access to the Core Independent Peripherals (CIPs) available on many newer 8-bit PIC MCUs. These CIPs enable the user to integrate various system functions onto a single MCU, simplifying the design and keeping system power consumption and BOM cost low. Have an IoT design idea? Curiosity can make it real. 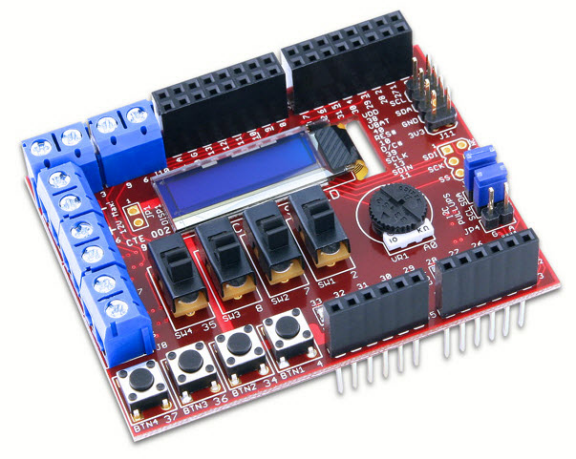 Out of the box, the development board offers several options for user interface -including physical switches and an on-board potentiometer. A full complement of accessory boards is available via the MikroElectronika Mikrobus™ interface footprints. This development board features a 2.8” Displaytech DT028ATFT display module and interfaces with any Microchip PICtail Plus or Display Connector V1-capable development board such as the Explorer 16 Development Board, the Starter Kit I/O Expansion Board, the PIC24FJ256DA210 Development Board, or the Graphics PICtail Plus 3 Controller Board. An on-board CAT4104V LED driver powers the backlight of the DT028ATFT and can be controlled via a PWM signal. 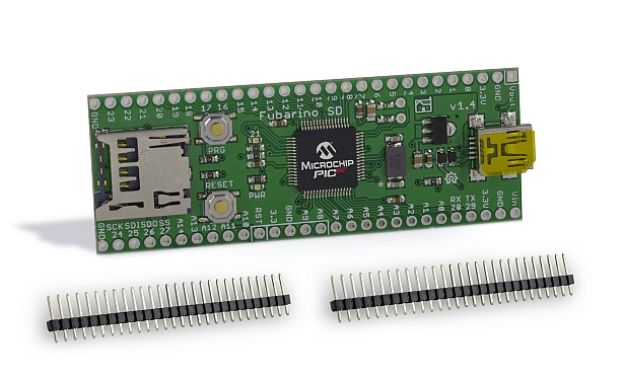 The Fubarino® SD board brings affordable, breadboard compatible high speed computing power to the Arduino-compatible chipKIT/MPIDE platform. It is able to run almost all Arduino sketches right out of the box, and includes more memory, speed, and I/O pins than a typical Arduino or clone. And it includes a microSD card slot for easy sketch access to huge file storage.